Healthy vision is essential to a child’s development. Routine eye exams are critical to early detection and treatment for children’s vision problems. We recommend that all children receive a yearly eye exam by an optometrist. Some children may need more frequent exams if problems or risk factors exist, or your doctor recommends it. The vision screenings delivered in school typically only evaluate distance acuity, but the vision skills needed for reading and learning are more complex. 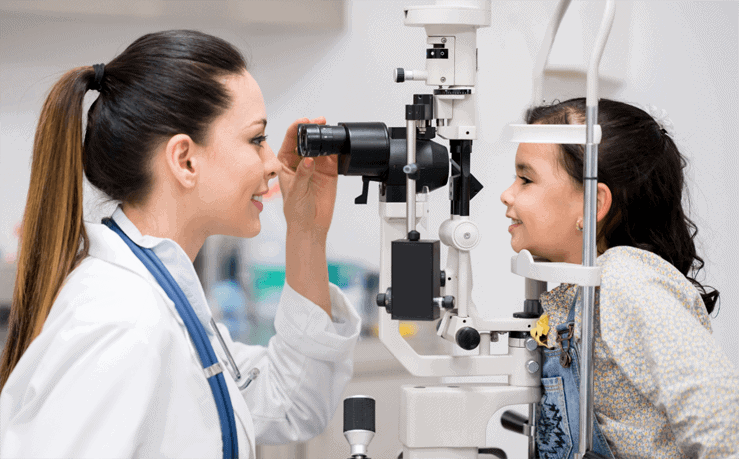 You child should receive a comprehensive eye exam if he or she demonstrates any of the symptoms above, use excessive time and effort to make achievements, or are not achieving to their fullest potential. In addition, school-age children may be unable to see objects in the distance or read the blackboard. They may squint, sit too close to the television, or be unable to read. Vision changes can occur gradually and with little notice, but the earlier a problem is detected and treated, the more likely treatment will be successful.